Dr. Davalbhakta is a Board Certified Cosmetic Surgeon who has had majority of his Cosmetic Surgery training in UK and USA. He qualified with MS in General surgery from B J Medical college in 1993. He acquired his Masters in Plastic Surgery from Bombay University in 1996 with distinction and went onto specialize in further reconstructive and aesthetic plastic surgery in the United Kingdom. He has done fellowships in Hand and Microsurgery, Breast aesthetic and reconstructive surgery and Cosmetic surgery in various centres including the world renowned plastic surgery unit at Addenbrooke’s Hospital Cambridge, St. Andrews Centre for Plastic Surgery, Chelmsford, The royal Preston, Mt Vernon among others, acquiring his FRCS in 2000. Dr Rahul Dalal graduated (MBBS) from Government Medical College, Aurangabad (MUHS Nashik) in 2003 and completed his Masters in General Surgery from MGM Medical College, Aurangabad (MUHS Nashik) in 2009. He worked as a Lecturer in General Surgery at Jehangir Hospital Pune, and later got selected for training in Plastic & Reconstructive Surgery (MCh course) at the prestigious Armed Forces Medical College, Pune (MUHS Nashik) which he completed in 2013. He received training under renowned Plastic Surgeon Dr (Brig) P S Bhandari at AFMC & Command Hospital (SC) Pune. He cleared all his MUHS University exams from under graduate to super-speciality level in first attempt. Mumbai. Rahul’s quest for knowledge landed him in Melbourne the cultural capital of Australia and world’s greatest city for Plastic and Aesthetic Surgery. Rahul worked as an International Fellow in 2017 for a year at Australia’s apex cancer centre Peter Mac Callum Cancer Centre, Melbourne gaining precious know-how in advanced and modern micro-vascular surgery reconstruction. At Peter Mac his mentors were Dr Angela Webb, Dr Ajay Chauhan, Dr Michael Findlay, Dr Richard Zinn, Dr Simon Donahoe, Dr Natalie Ngan and many more Plastic Surgeons. In 2018 he began Advanced Aesthetic Plastic Surgery fellowship (ISAPS- International society of Aesthetic Plastic Surgeon’s recognised fellowship) with Esteemed- Melbourne Institute of Plastic Surgery, Melbourne to gain comprehensive experience of Aesthetic Surgery and Medicine in areas of advanced and functional Rhinoplasty, Breast Surgery and Implants, Ear reconstruction, Facial aesthetic surgery, liposuction, body contouring, abdominoplasties, lasers, botox, fillers under the guidance of illustrious outstanding and famous private practitioner Plastic Surgeons of Melbourne Dr Andrew Greensmith, Dr Graeme Southwick (OAM), Dr Morris Ritz, Dr Damon Thomas, Dr Edmund Ek. 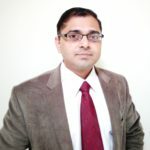 Dr. Rahul has authored articles in peer reviewed plastic surgery journals, delivered talks in various conferences, attended courses both national and international. He is life member of Indian association of Aesthetic Plastic Surgeons, Breast reconstructive and aesthetic surgeon’s association, Association of Plastic Surgeons of India, Indian Society for reconstructive microsurgery. 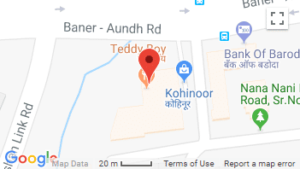 He is attached to prominent hospitals in Pune as Consultant viz Aesthetics Medispa, Jehangir Hospital, Jupiter Hospital, Aims Pune, Saishree Hospital etc. 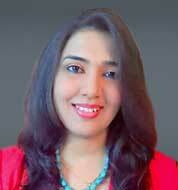 Dr. Madhuri Pawar is the most admired and loved in Aesthetics Medispa with her skills, patient handling and smile. 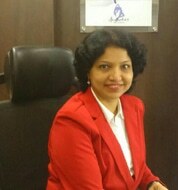 Dr. Madhuri strongly believes that everyone has a unique beauty. Analyzing what’s beautiful and enhancing that beauty ,as well transforming that is less attractive to more attractive yet keeping the natural self intact is the principle she practices. At Aesthetics Medispa she is responsible for counseling and advising, planning, designing treatments and packages as per individual needs. She practices as a Cosmetologist. 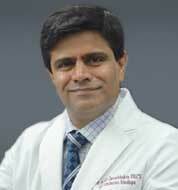 Dr. Madhuri is also Primary assistant surgeon in Cosmetic surgeries under the Guidance of Dr. Ashish Davalbhakta. 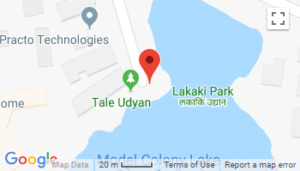 She is also responsible for performing treatments like, chemical peels, derma rollers, microdermabrassions, PRP and also various Lasers like IPL/DIODE/Q-SWITCH/INTRAGEN. Her interest in conducting in-house training for therapists,and also Brand Promotion, up selling to build up revenue is one of the key to the organization’s success. She believes and practices quality and result oriented services which helps in building up potential clientele and making each client happy. Dr Sheetal Jalori, is a qualified B.A.M.S doctor. She is certified Clinical Aesthetician and cosmetologist with work experience of 6 years with eminent doctors in this field. Medical Treatment for cosmetic dermatology skin conditions like rosacea, dermatitis, fungal infections, keratosis pilaris, acanthosis nigricans, pcod, macular amyloidosis etc. She is truly devoted towards customer satisfaction with her smile which the clients always admire. 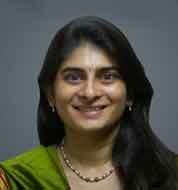 Dr. Vaishalee Kirane is a highly qualified Dermatologist, Dermatosurgeon and Trichologist. She is Pune bred, having qualified from BJ Medical college, Sassoon general hospital. She specialized in Dermatology after finishing DVD (First in University) and DNB in skin diseases. She was trained under world renowned Professors like Dr Gharpuray (FRCP, Edin & Glasgow) and Dr Tawade. She gained exhaustive clinical experience while working as a lecturer in Sassoon General Hospital, where she also taught undergraduate students. Her innate sense of aesthetics made her focus on cosmetic dermatology which includes face rejuvenation with peels, roller, laser, Botulinum Toxin, fillers and hair removal and restoration.